Sean J Vincent Blog: Stabilizers... i finally got one. Stabilizers... i finally got one. SteadyCams, steadicams or glidecams...whatever you want to call them, the camera stabilizer is one of those tools we're all going to want to try at some point. A good director i know, told me years ago that i should never buy one. He said if you want decent steady camera footage, hire a SteadyCam with an operator...because in the long run it'll be cheaper. He probably had a point, and for features with a budget, i'd agree. But when you can pick up a decent stabilizer to mount a DSLR on for a few hundred quid... it's a bit too tempting to ignore. First of all, let me explain what i was after... I wanted a stabilizing rig that i could mount a Canon 550D on. I wanted it to be able to take a mattebox if necessary too... so nothing too small. I want to be able to get some decent smooth shoots of people walking and talking for my next feature project. 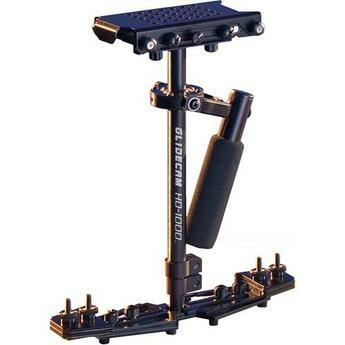 The GlideCam - A solidly built unit, but heavy on the wrist. The Merlin - Easier on the wrist but very expensive. 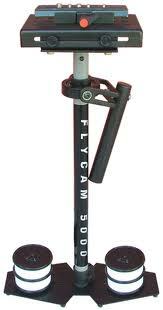 FlyCam - An Indian GlideCam 'copy'. Still heavy on the wrist. I tried a FlyCam first. I'd been warned off of these because of the build quality. They appear to be a bit hit or miss. Some people have a complete nightmare with them...while others find them fine. The one i tried was terrible. I spent 2 hours with it and couldn't get it anywhere near balanced. The screws tapped directly into the aluminum tubing and i could tell it wouldn't last. The Merlin got ruled out purely on price. I've heard very good things about it, but i'm not looking to spend that kind of money. The Glidecam i tried was the 2000. It was a major improvement over the FlyCam and i manged to get it balanced in about an hour. It was obviously the right model for me...so off i went to find the best deal. At this point i hit a bit of a wall. 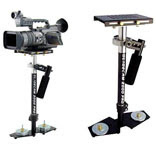 The GlideCam range is only available from CreativeVideo in the UK....nothing wrong with that, but it doesn't leave much room for finding a good deal. Out of curiosity, i looked on the B&H website based in New York... luckily, i noticed a Second-Hand GlideCam 1000HD... it was going really cheap and this was for the HD version. I had quick read of the specs (this was a smaller model than the 2000) and it looked like it could just about take the weight...so i didn't hesitate. Well, it's not gonna make the cut yet... but it's got some potential. I can get 7 or 8 seconds of walking without it going off balance. It's all down to practice... so practice i will. After another hour, i was getting a lot better. It's alot to do with the technique of your other hand to guide it. So, conclusions? The GlideCam 1000HD is good...really good, but it takes time. Don't go ordering one today if you've got a shoot at the end of the week.... cos you won't be good enough yet. The GlideCam isn't the answer to all your smooth shot woes... you will still need a dolly sometimes and i'll still be using my GlideTrack a lot. It's just another option...another tool. You might be wondering why i didn't try any of the Hague stabilizers... I was tempted. But, at the end of the day, i didn't trust the ball and socket type gimbal. I just couldn't see how they could properly isolate the camera from the movement of walking or running. It also didn't help that 'Man @ C&A' was posing with it on the website...(well spotted Elskid) Sorry...but that's how it is. 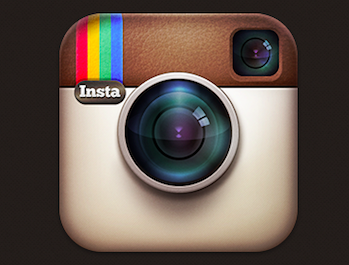 When i get some good footage, i'll post it.